Last weekend was one of those non-stop weekends where you need a day off after the weekend to recover. We went up to Los Angeles because Steve was photographing a wedding up there on Saturday. I spent the day with my brother and his girlfriend. We went to Din Tai Fung for lunch. It was my first time and I totally fell in love. Since I don’t eat pork, we got the veggie dumplings and the shrimp with green melon dumplings. The dumplings were delicious but it was the sides I fell in love with. Cucumber, mustard cabbage, and sea weed salad…they were all so good! Then we went to Daiso Japan, a Japanese discount store where everything is $1.50. Seriously!? I walked to the back of the store and saw a huge variety of beautiful plates, glasses and other ceramics. As a good little food blogger who is always on the look out for props, I got so excited! I started grabbing as much as my hands could hold. Suddenly, I felt a stack of dishes shift in my arms and a plate fell to the floor. It shattered with a loud noise. Making everyone in the entire store look at me and give me disapproving glares. I was mortified! I immediately grabbed a basket, making sure that the rest of my ceramics would stay safe. At the end I had so much stuff in my basket that I had to go through everything and make sure I really wanted each item. I ended up putting half the stuff back but I definitely stocked up on awesome little Japanese dishes. After Steve got back from the wedding, we drove about 30 minutes for Korean food and shaved ice. It was a day full of pan Asian activities. I love that about LA! We spent the next day with Steve’s family celebrating his birthday and mother’s day. There was lots of lunch time champagne and wine involved, which is fantastic but it never fails to make me really tired. On Tuesday, after being back in San Diego for a couple days, I hadn’t quite recovered from the weekend. I wanted a super comforting meal for dinner. Something that could both relax and soothe me. I made these black lentils and they were perfect. I love the creamy texture and flavor. They always make me feel better! Rinse the black lentils with cold water a couple times. Combine lentils, 4 cups water and 1 tsp oil in a pressure cooker. Cook on high heat until the pressure builds, turn heat to medium and cook for 20 minutes. Don’t manually release the pressure. Wait at least 30 minutes to open the pressure cooker. Heat 2 tbsp of oil in a large pot. When the oil begins to shimmer, add the cumin seeds. Cook about 10 seconds. Add onions and green chili. Stir. Let the onions cook until translucent. Add the ginger. Stir. Let cook for about 20 seconds. Add the cooked black lentils, milk, turmeric, chili powder, salt, and 2 cups water. Let cook on medium heat for about 15 to 20 minutes stirring often until the liquid thickens. Turn off heat. 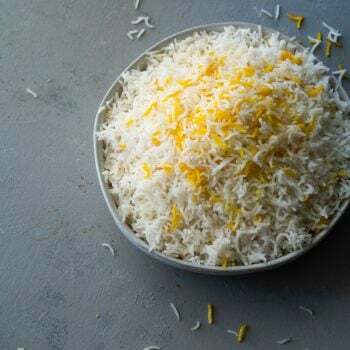 Stir in butter and lemon juice. Sprinkle with cilantro. 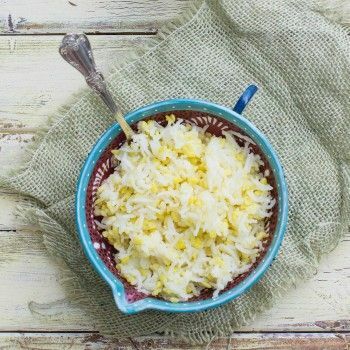 Serve warm with rice or flat bread. Kidney beans are commonly added to dal makahni so add about 1 cup of cooked kidney beans if you like. 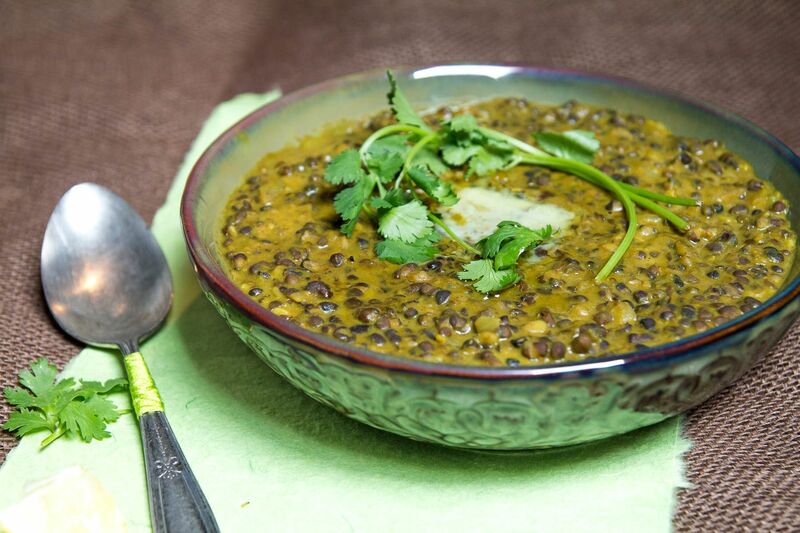 If you don’t have a pressure cooker, you can easily cook the lentils in a large pot. 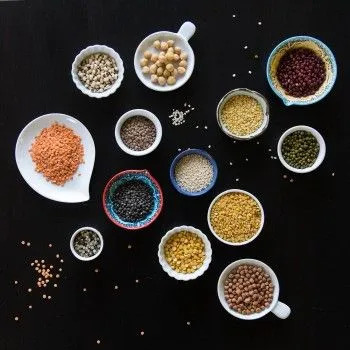 Just bring lentils and water (you will probably need a couple extra cups of water) to a boil, cover, turn heat to medium-low and cook. It will probably take about 45 minutes. If there is a bunch of extra liquid left in the lentils, it’s totally fine. Just add less water later. 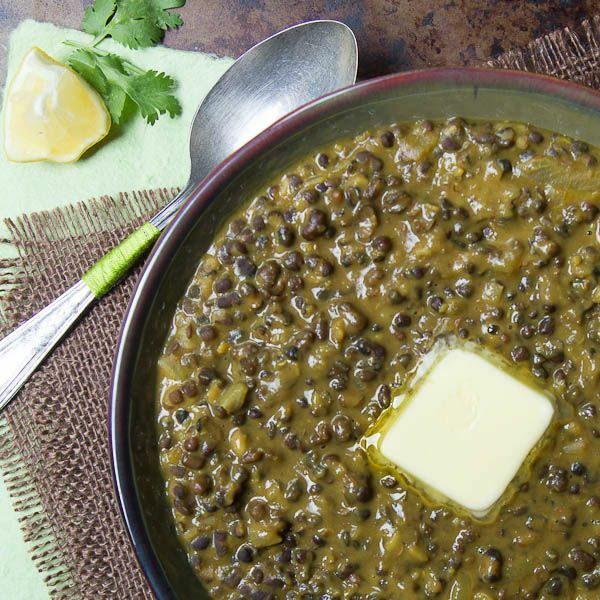 Comments on "Buttery Black Lentil Curry (Dal Makhani)"
How beautiful your lentils look! Also besides the meal such a nice posting with the Panasian tour and the dish story - could have been me as well ;-). I also get very excited if I enter a shop or go to a market with beautiful dishes and decorations (love the bowl on your photo and the nicely ribboned spoon!). Thanks Claudia! I am sure you have access to some really beautiful props in Germany. Isn't it great how food blogging makes it okay to horde plates, fabrics and other pretty things? You are absolutely right, food-blogging is the best excuse for crowding the cupboards with nice dishes. Lucky us ;-). Hi, Great website. I just came back from the Indian Food stores on Newak ave in Jersey City, now i know black lentils are urad dal. Thankyou! I will make this recipe for sure. Made this for dinner last night. Good flavor, will make again. Thanks! We had black lentils in the cupboard and didn't know what to do with them. Thankfully I stumbled across your site! Will be returning for some more yummy goodness! Did you pay for the broken plate? Wow this is a fantastic recipe, thanks so much! So subtle and perfectly balanced.